Cipher Auto offers a new exclusive line of universal racing seats. its seats provide great comfort while giving you sensible style without being too gaudy. 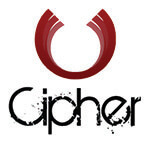 Cipher Auto realizes the negative direction the tuner market has gone and have done its best to produce clean and minimalist designs for its racing seats. With sensible style and memory foam cushion for comfort, its universal racing seats are like no other!.